Africa’s first and biggest network of centers of excellence, the African Institute for Mathematical Sciences (AIMS) has opened a campus in Kigali, Rwanda. The Kigali campus was launched in partnership with the Government of Rwanda at an event held at Kigali convention centre on Monday April 3rd, 2017. A major achievement of the of the Matiang’i era that hardly features in accolades for the charismatic Cabinet Secretary and his team is his roll out of the aptly named Science, Technology, Engineering and Mathematics (STEM) model schools the moment he stepped into his predecessor Prof Jacob Kaimenyi’s shoes a year ago. A continent that sells most of its raw materials, and does not have the concept of a Patent office, with the limited exception of a few countries including South Africa. A continent that nurses lethal grudges against enemies of the past and sees the presidential office as a revolving door for "pay back." 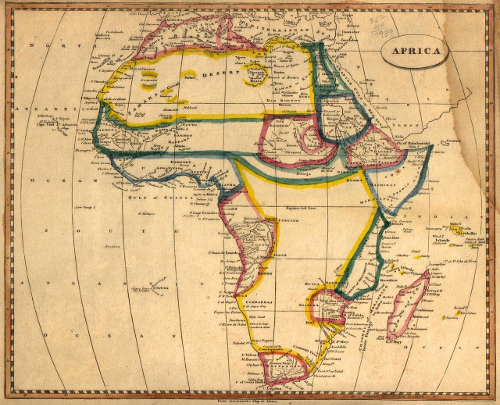 And a continent, that sees democratic plurality as infiltration of Western intelligence and unAfrican. I am writing about Africa and African democracy. In this milieu of intractable problems, what is the missing ingredient to assisting African society to develop at a fundamental level? Climate change, HIV/AIDS, recurring droughts, and food insecurity are some of the most pressing issues the African continent has had to deal with in 2016. [1,2,3] These issues pose a significant threat to economic, social and environmental development in Africa and create health and economic challenges to the continent. In May next year, Africa will launch its first-ever private satellite into space, to monitor the continent's shifting weather conditions.Unlike most private satellites out there, this one has mostly been built by 14 South African teenage girls, as part of a high school science, technology, engineering, and maths (STEM) boot camp.